Pope Francis travels to the Emirates from February 3 to 5. An area marked by enormous wealth, abysmal injustices, cruel wars, political-religious dictatorships. Coexistence between religions and peoples. Migrants in the UAE (80% of the population) are essential to the economy. One million Catholic faithful from the Philippines, India, the Middle East, Korea. The hope for peace in Yemen. 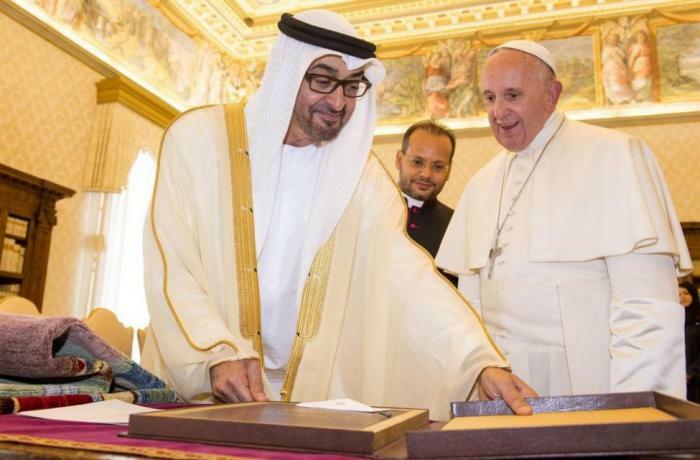 Rome (AsiaNews) - From February 3 to 5, Pope Francis will visit the United Arab Emirates, specifically Abu Dhabi. This journey is the first of a pontiff to a Gulf country, an area marked by enormous wealth, abysmal injustice, cruel wars, political-religious dictatorships. 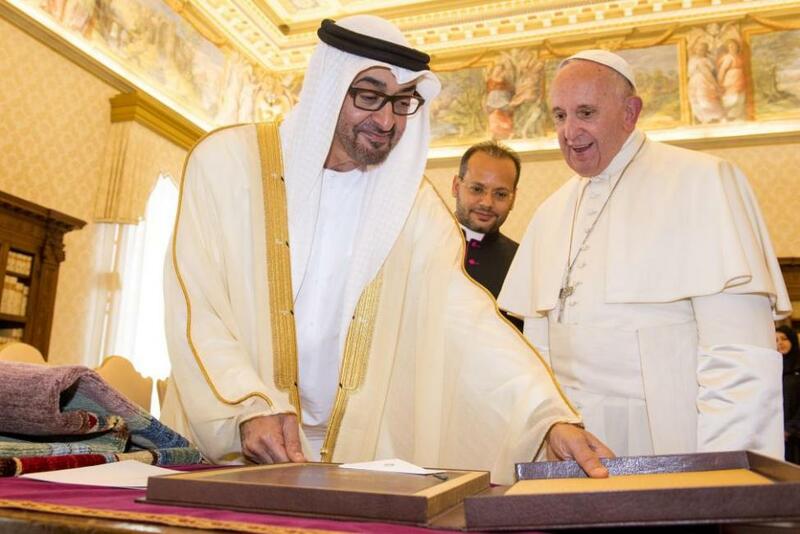 Francis's agenda includes a meeting with Crown Prince Sheikh Mohammed bin Zayed bin Sultan Al Nahyan, son of the founder of Abu Dhabi; another meeting with members of the Islamic Council of the Elderly in the Grand Mosque of Sheikh Zayed; an outdoor mass, in Zayed Sports City. On the eve of the trip, the Pope sent a video message to the "dear people of the United Arab Emirates", underlining that the visit to that country could write "a new page in the history of relations between religions" and that faith in God "unites and it does not divide, Faith brings us together even in the face of differences. It also keeps us away from hostility and indifference." On 5 February afternoon, the Pope will attend the interreligious meeting on the theme 'Human Brotherhood', at the Founder's Memorial in Abu Dhabi. That of brotherhood and coexistence among religions is a burning issue in relations between Islam with other faiths. Islamic fundamentalism, with its beheadings and mass executions, is causing problems and provoking disgust in the Islamic world itself, where young people are becoming more and more distant from mosques and imams. It is also clear to many Muslim intellectuals that in order to defeat fundamentalist Islamism, dialogue and coexistence with Christians is necessary: ​​it is the track that Egypt, Iraq, and Lebanon is following. In the UAE there has long been a possibility of religious freedom. Above all in Abu Dhabi, Dubai and Oman there are 11 parishes serving the Catholic population, calculated in tens of thousands, with schools run by religious. Last Christmas, more than 20,000 people were present at the masses in Dubai in the small church of the Virgin Mary; in Abu Dhabi there were at least 6 thousand faithful. There are some limitations: no proselytism, no visible external sign for the sacred buildings, ceremonies must be held inside buildings. But this is already a great achievement, if one thinks of neighboring Saudi Arabia, where even private prayer in a faith other than Islam is forbidden. Another positive sign is that special permission for the use of a public space was given for the Papal Mass. The Emirates belong to the Vicariate of Southern Arabia, where about 1 million faithful live, all of foreign nationality. The most important community is the Filipino one, followed by Indian Catholics, especially from Kerala. The rest of the Church is made up of Lebanese, Syrian, Iraqi, Egyptian, Jordanian, and Koreans who have come to the region for work. These include laborers, domestic workers, porters, but also employees and managers. Of them, Msgr. Paul Hinder, apostolic vicar of southern Arabia, says: "It is a community of faithful participants. They are not 'slaves' or B-class people at all, but Christians who participate actively in the life of society and the local Church. We are a lively migrant". The migrant issues will undoubtedly be another of the cornerstones of this journey of Pope Francis. He often speaks of migrants as people who are in misery, very poor, destitute. In the United Arab Emirates, at least 80% of the population is migrant because the local population does not exceed 20%. The Indian immigrants (25% of the total) and the Pakistanis (12%) are the majority. The emirates’ economy depends on them with the labor need for the most humble jobs, but also for expats in offices and finance. In his video message, the Pope defines the emirates as a "land that seeks to be a model of coexistence, of human brotherhood and of encounter between different civilizations and cultures, where many find a safe place to work and live freely, respecting diversity" ; a people "that lives the present with an eye to the future". And Msgr. Hinder concludes: "This is the message we want to send with this visit to the global Catholic community, governments and institutions: look at migrants as an active reality". Viewing migrants only as a problem and walls as a solution is useless and anti-historical, as well as harmful to the economy of every country. Finally, we must hope that all this leads to peace in the Gulf. It should not be forgotten that with the Saudi-led coalition the emirates supported the anti-Assad and anti-Christian fundamentalist groups in Syria, and still today support the fight against the Houthis in Yemen, increasing tensions with Iran. This is why the theme of the journey is the prayer of St. Francis of Assisi: "Lord, make me an instrument of your peace".